Preheat your oven to 350°F. Spray a 13 x 9-inch baking pan with no-stick cooking spray. Combine graham crackers crumbs and butter in a small bowl; press crumb mixture firmly into bottom of the prepared pan. Combine butterscotch chips, chocolate chips, and nuts in a small bowl, and spread evenly across the crumb crust. 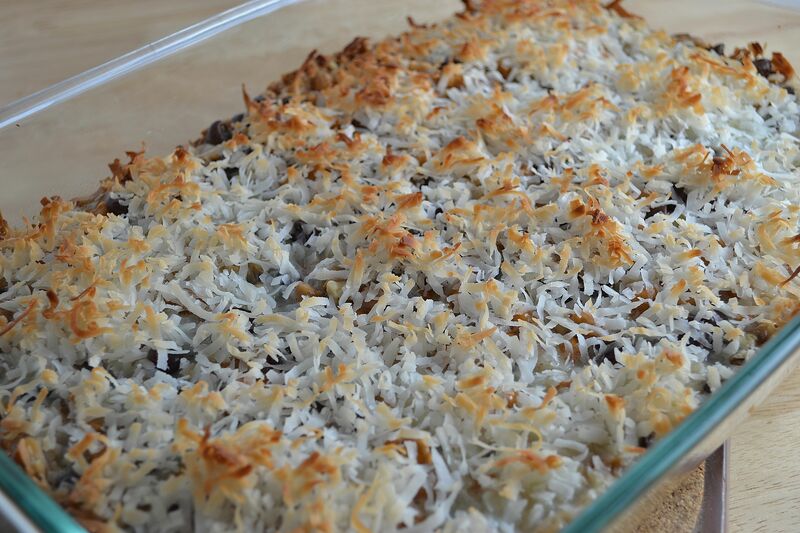 Pour sweetened condensed milk into the pan, and sprinkle the coconut flakes over the top to cover. Bake for 20 to 25 minutes, or until lightly browned. Loosen from sides of pan while still warm; cool on wire rack. Cut into bars or diamonds.